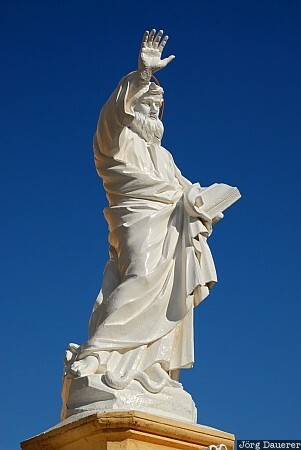 A white statue in front of a deep blue sky near the church of Balzan. Balzan is one of the "three villages" in the central part of the Mediterranean island of Malta. This photo was taken in the afternoon of a sunny day in March of 2009. This photo was taken with a digital camera.